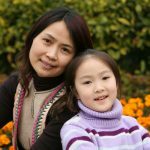 There are many ways you can support our work at Asian Family Support Services of Austin. Give Today. Your donations make it possible for us to provide critical services to those in need. You can give a one-time personal donation or set up a recurring donation. Honor a loved one. Pay tribute to the important people in your life by donating in their name on a special day, such as a child’s birthday or Mother’s Day. A letter acknowledging your gift will be sent to the honoree. Click HERE to make a donation to AFSSA. 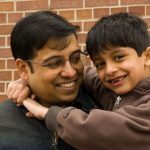 Ask your employer about corporate matching programs. Some companies will match donations made to AFSSA or donate money based on the number of hours you volunteer with AFSSA. 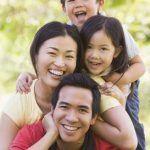 Designate Asian Family Support Services of Austin in your United Way payroll deductions. Ask your employer about the process for designating companies not listed on the United Way Corporate Campaign pledge form. Write in our organization name, address, and phone number. Host a third party benefit event and contribute the proceeds to AFSSA. Contact us at info@afssaustin.org for more information on how to make this happen. Help publicize AFSSA events. Post flyers at school, at work, and on your online mailing lists. Also new friends to AFSSA events! What if AFSSA earned a penny every time you searched the Internet? Or how about if a percentage of every purchase you made online went to support our cause? Well, now it can! Amazon Smile will provide a portion of all of your purchases through Amazon to support AFSSA programs. 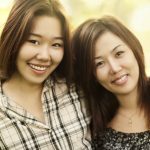 Link your Amazon Smile account to Asian Family Support Services of Austin. Shop at Randalls and link your Remarkable Card to AFSSA. A percentage of the proceeds from your purchases will be donated to AFSSA. SAHELI, Inc (AFSSA) Good Neighbor Number at Randall’s is 7856. GoodSearch is a Yahoo-powered search engine that donates half its advertising revenue, about a per search, to the charities its users designate. Use it just as you would any search engine, get quality search results from Yahoo, and watch the donations add up! GoodShop is a new online shopping mall that donates up to 37% of each purchase to your cause! Hundreds of great stores including Amazon, Target, Gap, Best Buy, EBay, Macy’s and Barnes & Noble have teamed up with GoodShop and every time you place an order, you’ll be supporting your favorite cause. 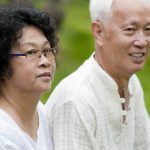 Just go to www.GoodSearch.com and be sure to enter Asian Family Support Services of Austin as the charity you want to support. And be sure to spread the word!